Montreal – Hostels in Montreal. Maps for Montreal, Photos and Reviews for each hostel in Montreal. Looking for a hostel in Montreal? Look no further, all the good deals in Montreal are on Dorms.com. Like thousands of other people every month, book your hostel securely at the best price in all neighbourhoods of Montreal. 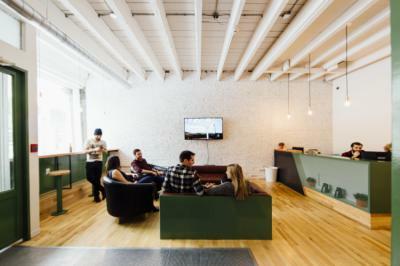 On this site, you can easily find a hostel downtown, in a trendy neighbourhood; a hostel in the student- university district, close to bus or train stations, airports or major attractions of Montreal. Old port and old Montreal. Close to Place des Arts. C'était une grande première pour moi (dormir en auberge). Dormir en dortoirs, avec des gens que je ne connaissais pas..... Heuuuuu Pour faire simple, les lits des dortoirs sont hypers confortables et j'ai passé deux bonne nuits. Le petit déjeuner offert était complet, on retrouvait de tout. Le cadre de l'auberge ainsi que sa localisation sont tip top!!!!! The staff is great, ready to help us, help out (thank you for the many phone calls I made thanks to you, it helped me a lot! ); the team is quite young, relaxed atmosphere. The breakfast is simple, with some special products, but it is enough. For a lot of rooms it will have to climb many steps, which is not easy when you have heavy luggage. The individual lockers in the rooms are very narrow, so it's hard to put anything other than a cabin bag in it. Fortunately a room for luggage next to the reception is available to us for free. The beds are comfortable, privacy is not present (normal inn) but we can still find quiet corners. The Wi-Fi is quite variable, good in the heart of the hostel and the corridors, less in the rooms. Rooms, bathroom and WC clean. Hostel very well located in the heart of the city center. Easy to find. Breakfast served by yourself. The kitchen is big enough. We spent four nights in the hostel and we enjoyed ourselves there. The comfort in the rooms is very correct and the sanitary condition is perfect. All contacts with the staff who work there have been excellent. In short, we will come back to it as soon as possible. This inn in addition to being clean is well located. The staff is pleasant and always available. I recommend it. 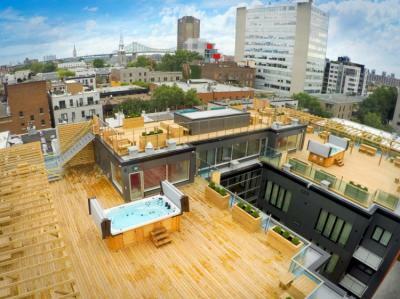 · The M Montreal Hostel is definitely the place to stay if you want to fully enjoy Montreal. 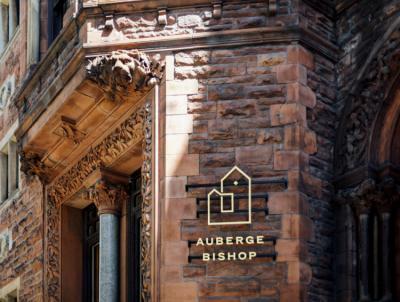 We are surrounded by the best neighborhoods like the Old Montreal (10 min walk), the Latin Quarter (5 min walk) or the Festival District (10 min walk). We love to visit you!